There’s something I want to tell you about this industry. A couple of Sundays ago, we did Indie Knit & Spin, which is a fab little show here in Pittsburgh that is totally focused on indie makers like us. The vibe is great, the show is fun, the location super-cool, and the customers are like friends because they’re all from our own local community. I can’t help but walk away from the end of a day like that feeling great! And then the next day, I met up with one of the other vendors — a fellow dyer who lives several states away and that I get to see only a few times a year — for lunch at a restaurant downtown. It was a lovely afternoon and, as I headed home, I was on a total high from the effects of the two days together. All the good feels. 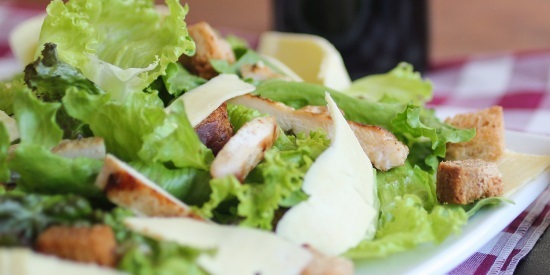 But wait… my lunch date… she’s a direct competitor, right? What’s up with that? Well, yes, she is my competitor. And maybe in another industry, we wouldn’t be laughing and talking at lunch as if we were coworkers in the same company. But this is a really special industry. It’s made up almost entirely of tiny businesses with just a few employees — even the biggest yarn companies are still quite small and family-run. And the people in this industry are real. 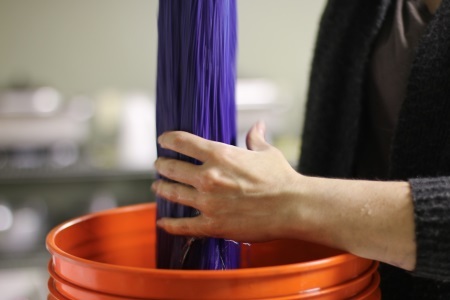 There are very few corporate salaries, very few perks — we’re all in it because we love yarn (just like you do! ), because we are all knitters and crocheters first, and because we love sharing our work directly with our customers and seeing what they make with it. I honestly can’t think of another industry like it. Here’s the thing: everything is about to get crazy, right? At the end of this week, the retail world will explode with ads and emails and a million other ways of telling you to buy buy buy! It’s going to be a little overwhelming. And I’ve got some fun holiday offers as well, so there will be messages from me too, but as you’re choosing your holiday gifts, I hope you’ll think of what a special industry this is, how it’s made up of people who create things by hand and with passion, and who rely on customers like you who value that kind of personal connection. And as we head into Thanksgiving, before all that craziness begins, I want you to know how grateful I am for you — that you read my (long!) 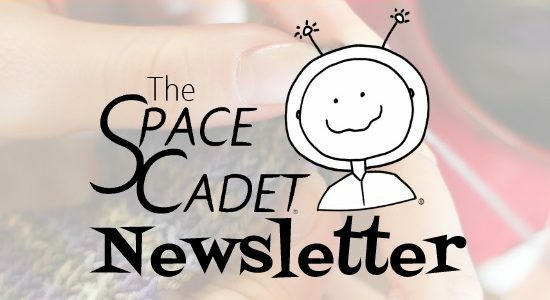 newsletters, that you buy our yarn, and that you support this tiny little business that we love so much. Thank you from the bottom of my heart. • I read with interest this article about a researcher who studied 400,000 knitters and “discovered what turns a hobby into a business” and, while I found it a little light on deep insight, what it did reveal is that most entrepreneurs in the knitting and crochet industry got started because of the encouragement of their crafting community. And that, I think, is the takeaway and something we all know deep down: knitters and crocheters create incredibly supportive communities. • Speaking of community, the first kind of community we all have is our families, but the current political climate can strain those bonds, especially around the holidays. This cool interactive article uses a bot — yes, its own bot — in its aim to help you have a more peaceful holiday season by improving your skills navigating those tricky conversations with family members with differing political viewpoints. You assign Angry Uncle Bot (“I have LOTS of opinions!”) a liberal or conservative bias and then start your conversation, choosing your best responses as you go along. A fun exercise, even if I’m still not confident I want to wade into politics over the turkey this week. • Or we can just rely on a good dog video to cut the tension, right? I don’t know if I think this sheepdog is so dumb that he doesn’t know how his job is supposed to work or if he’s a genius who’s found the easiest way to get it done but, either way, he totally cracked me up. Especially at the end. • It’s nearly time for the annual Indie Design Gift-a-long, a great chance for you get discounts on patterns from awesome designers, participate in a huge KAL/CAL, play games and win prizes. If the whole thing is new to you, Kristen Jancuk explains it all here, so read up and get ready — Nov 23 is nearly here! Holiday Special Offers — This Weekend! Black Friday (at noon eastern): The release of our new Prism Break colours and Special Prism Break Mini-Skein Sets. Because you love those bright rainbow colours but then you somehow always seem to buy grey, right? Don’t worry, we have a fix for that! Keep an eye on your inbox. 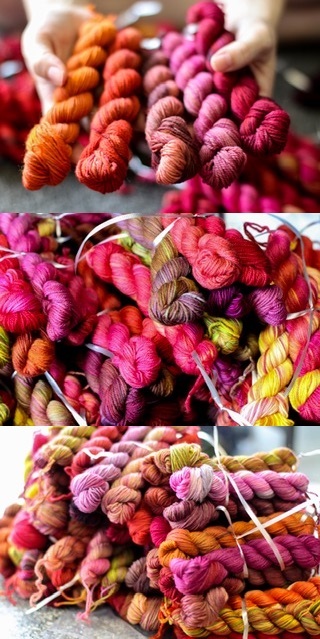 Small Batch Sunday (at 2pm eastern and onwards through the day): We’ve been dyeing some beautiful small batch colourways for truly unique gift-giving. Watch for them to release on Instagram and Facebook throughout the day! Cyber Monday (at 7:30am eastern): We’ve created kits for a very special holiday collaboration with designer Lisa Ross (below). Watch your email inbox for all the details! 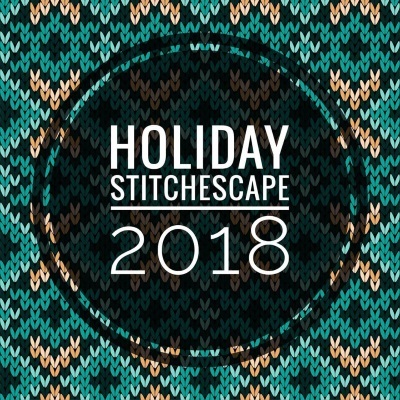 The Holiday StitchEscape is a day filled with beautiful yarns and classes by outstanding instructors, surrounded by others who also love the craft. 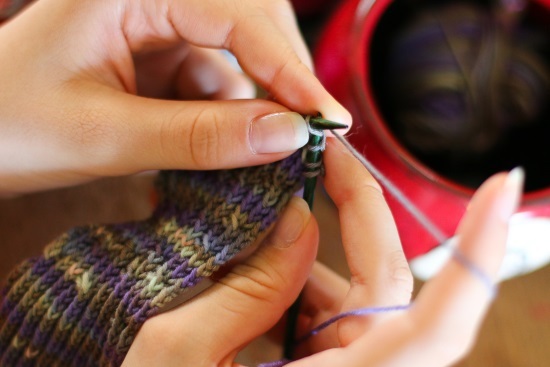 The daytime activities include classes, a marketplace, and sit-n-stitch; evening events are designed for a ton of fun. Find out more and get tickets here. This week’s pattern picks are a little different, because one of our own knitting community is amongst the thousands who have lost everything in the wildfires in California. I first met the designer Heatherly Walker at TNNA, where she was helping out in another friend’s booth. And when SpaceCadet went to our first Stitches West and discovered our booth fixtures didn’t fit together the way they should, it was Heatherly, along with three of her six children, who came to our rescue: cajoling the stubborn fixtures, hanging up yarns, and helping us clear up the mess as the clock ticked down (too fast!) to the show opening. 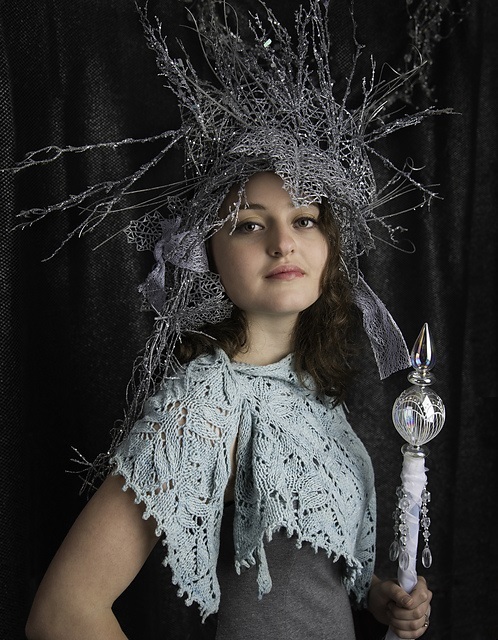 She has designed beautiful patterns in SpaceCadet yarn, and photographed them amongst the soaring pines and scenic views around her home in Paradise. So when I saw the name of her lovely town in news the other week, my heart stopped. 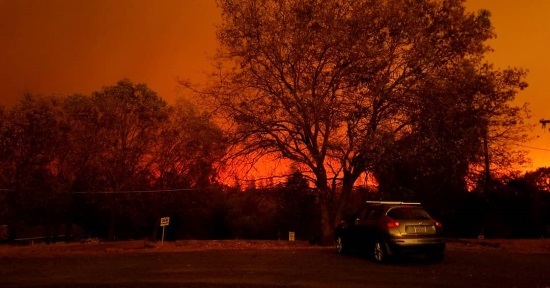 Her family got out — all the children and both she and her husband are alive and safe — but they have, of course, lost absolutely everything. Two days after they escaped the fire, someone smashed the back window of their car and stole her 12-year-old daughter’s backpack, containing nearly all she had left in the world. When tragedies like this strike, it can be hard to know what to do. 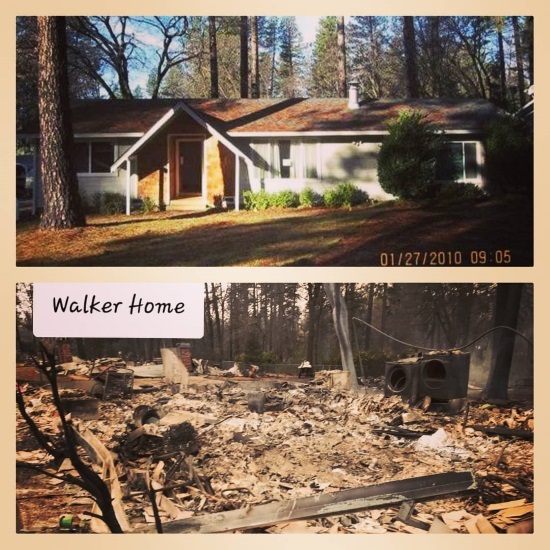 How do you help someone impacted by a disaster so far away? What do they need? What can you do? Sometimes the answers aren’t so clear but when the person in need is a designer like Heatherly, there’s a wonderfully easy way to show your support: we can simply buy her patterns! It raises much needed funds and boost her designs on Ravelry, all while she is busy sorting out her circumstances. Plus, you get some excellent new patterns too! Heatherly’s work ranges from beautiful shawls to intricate colourwork (check out her mittens!) to her delightfully detailed socks. These are the ones that jumped out to me when this week, but do click here and explore her whole catalogue. And then do the good by treating yourself to a pattern or two (or more! ), knowing that you are part of a community that really is that supportive when one of its own is in need. Ok, there is so much to do before tomorrow so I’d better get going and get the day started! I hope you have a great day ahead of you, I wish you a most wonderful Thanksgiving, and I’ll be in touch with fun stuff this weekend!